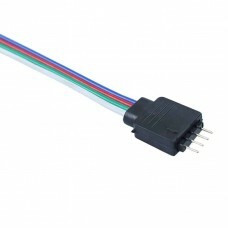 4-wire RGB Mini Controller for RGB LED ribbons. 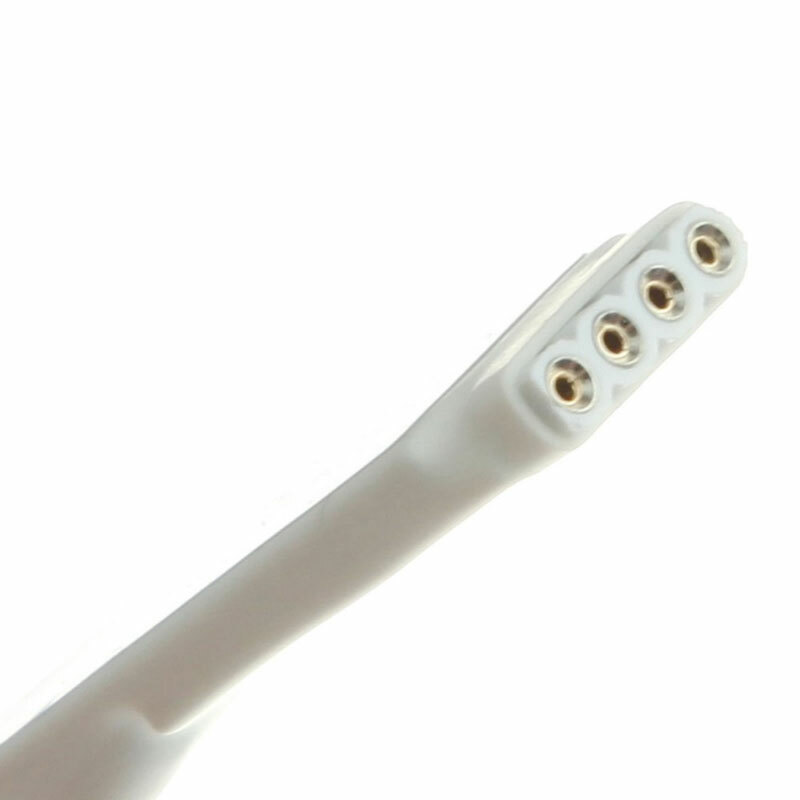 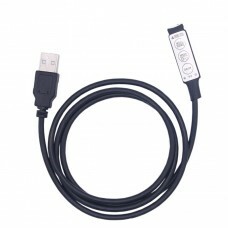 Ultra slim design 1.6" x 0.5" (4cm x 1.3cm) allows unit to be concealed. 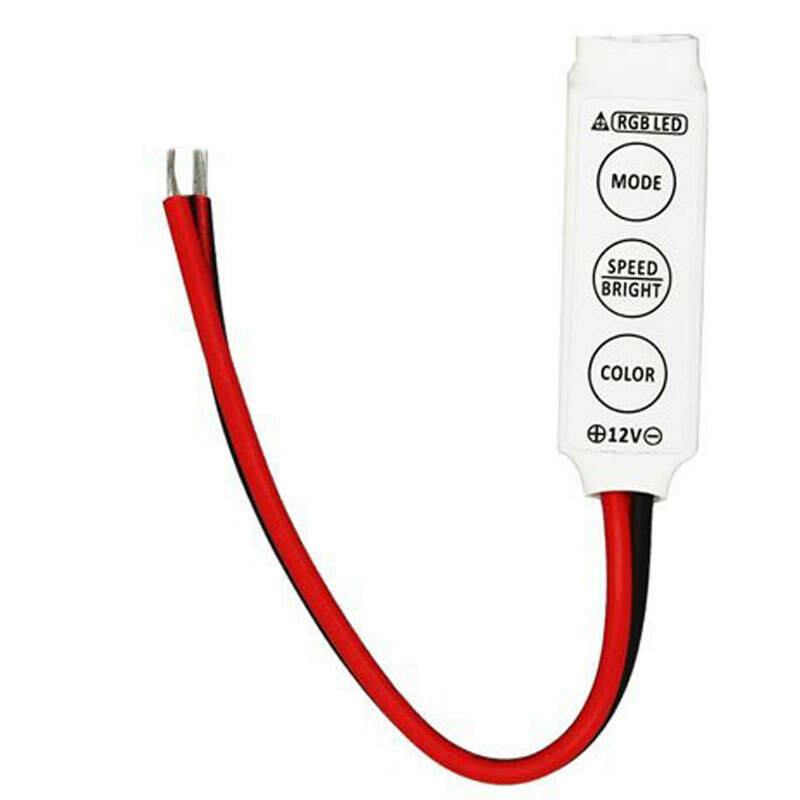 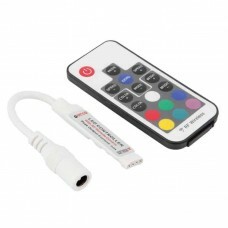 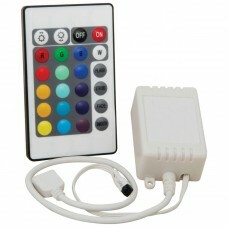 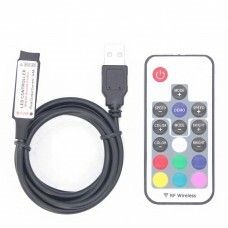 12v input with 4-channel RGB output and three control buttons allows for adjustment from the 19 dynamic and 20 static color modes. 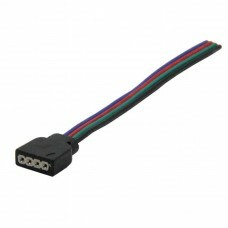 Complete with 10cm power connection leads. 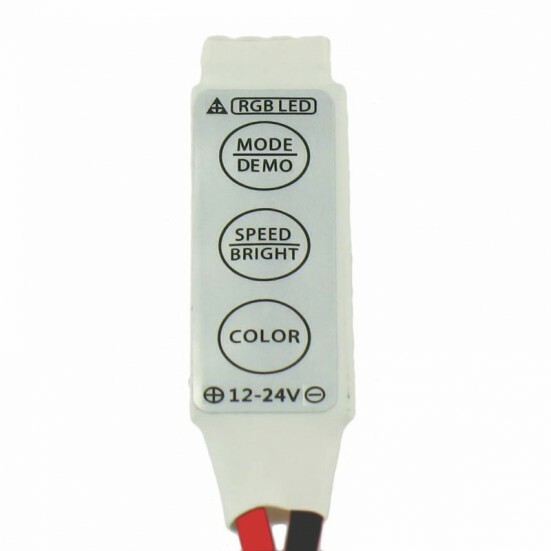 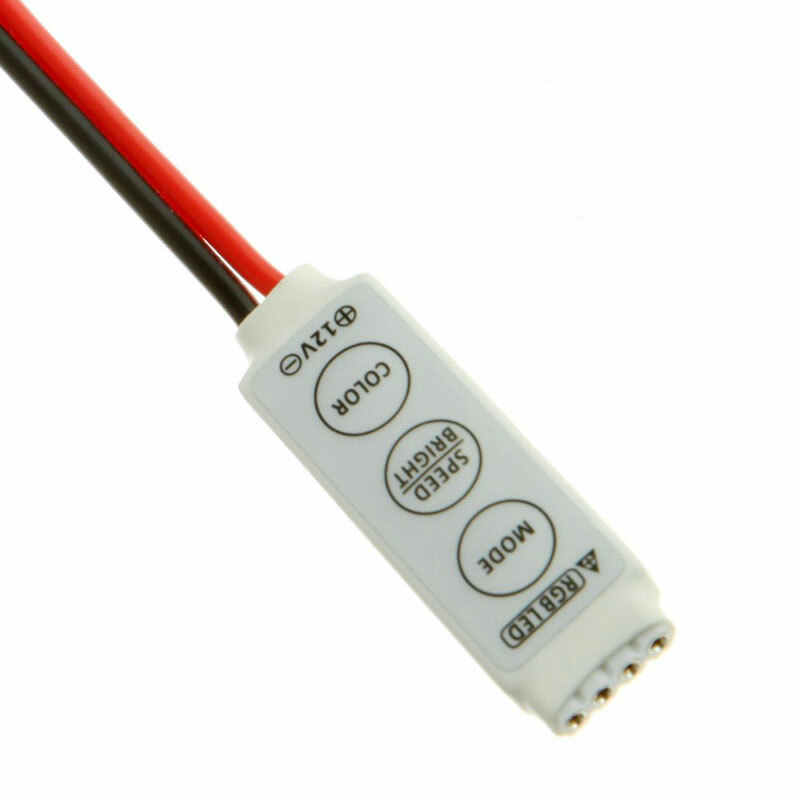 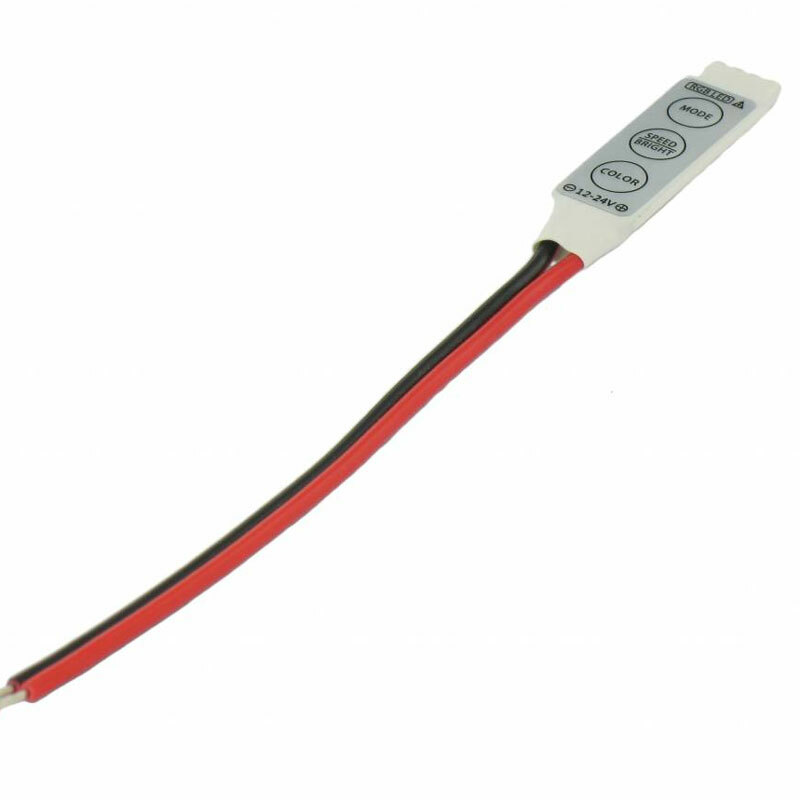 Directly control for 5050, 3528 RGB LED Strip Light 12V. 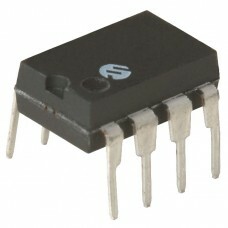 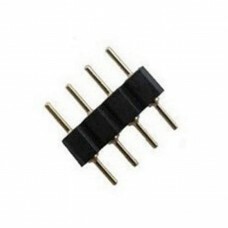 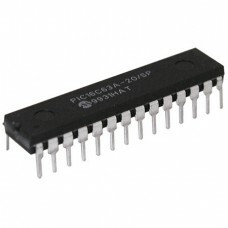 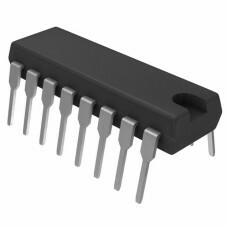 74HC595 Shift Register 8-bit Shift Register with Output Latches (3 State) The M74HC595 device is ..